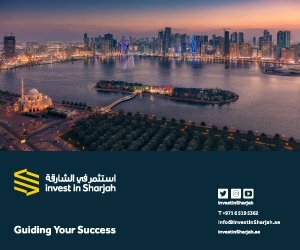 Through its constant and consistent efforts to become one of the premiere attractions in the UAE, Sharjah’s Al Majaz Waterfront has brought a steady stream of tourists and visitors to the emirate. It has successfully blended its aquatic themes and fountains with modern parks, prestigious restaurants and elegant cafés overlooking a waterfront that reflects the lights of the impressive towers alongside the tranquil lagoon. 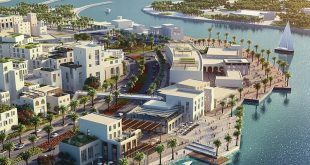 Not only does Al Majaz Waterfront provide world class facilities but also premium services in entertainment, leisure, culture and sports. It is a key venue for some of the UAE’s major cultural events, such as the Sharjah Light Festival and the Sharjah Islamic Art Festival. The attraction appeals to all ages and includes the Al Majaz Splash Park for children, as well as the mini golf course and play area. Al Majaz Waterfront’s state-of-the-art amenities and high end services attract a large number of visitors throughout the year. 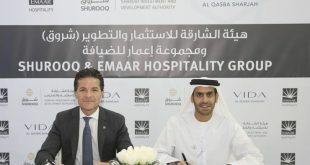 It hosts a variety of artistic and entertainment activities, including film screenings, stage shows, roaming performers and firework displays, in addition to the events held at Maraya Art Centre which represents a platform for regional and international projects, and a spectrum of family tailor-made activities. 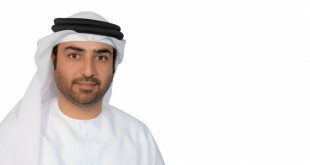 “There are regular local visitors who come to Al Majaz daily or at least weekly and the immense efforts of the team here have played a key role in attracting more visitors from Sharjah, the UAE and the region,” said Mohammed Fadhil Al Mazroui, Manager of Al Majaz Waterfront. 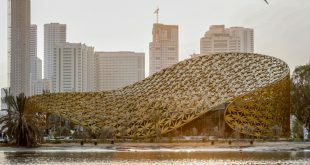 “Looking ahead, we will have even more to offer our visitors – this is a wonderful centrepiece for Sharjah’s tourist” he added. Al Majaz Waterfront has complete but subtle lighting in the evening and provides visitors with an opportunity to enjoy the blooming flowers and green areas that run up the spine of the park, every day to midnight. There is also the family train, which runs on a track around the park and an 18-hole mini golf course. In addition to a jogging track is 750 metres long and is made of 6,000 recycled tyres. 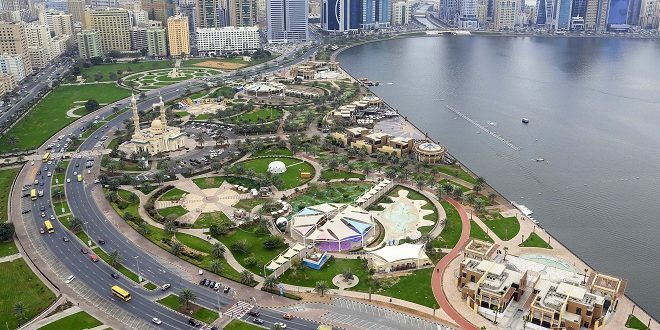 It is a major sport attraction for athletes and strollers alike who can walk or jog among the palm trees, flowers and breath-taking landscape overlooking Khalid Lagoon. Children are treated as a priority, with vast open air playgrounds, tailor-made to develop critical thinking and encourage them to compete with their peers. They are an ideal place for children to interact and engage with one another and have been specifically designed to provide a safe environment for kids, including those with special needs, to have fun as well as encourage physical activities.